Chhattisgarh government is trying to improve the tourist option in Chhattisgarh. As tourist is one of main employment in this state. There are many tourist places in state and every year a large number of tourists visit the state from all over the world. Government plan is improve the living circumstances of people and for this government is trying to put many scheme so that people can get more what they actually deserved. This new scheme launched by the state Government of Chhattisgarh is for everyone I.e. for young’s, children and aged people. Chief Minister Raman Singh launches ‘Raman Jan Paryatan Yojana’ on October 15th of 2016. Chief Minister Raman Singh launches this scheme on his Birthday. Also he blessed the child on this day. That is why the state government of Chhattisgarh has started a new tourism scheme from 15th October for the different spots to enhance the tourism option in state. This scheme is named by “Raman Jan Paryatan Yojana”; and this new tour package scheme will be run by Chhattisgarh Tourism Board (CTB). Under the scheme, people can nowadays trip different tourist spots in Chhattisgarh expediently and at very reasonable cost. Plan of government is to increase number of tourist in state every year and hence increase the employment options. Under this newly launched scheme, travelers and tourists will be provided with more options on selective days of the week, if they willing to visit places like sirpur, Chitrakote, Teerathgarh, Girandpuri and so. 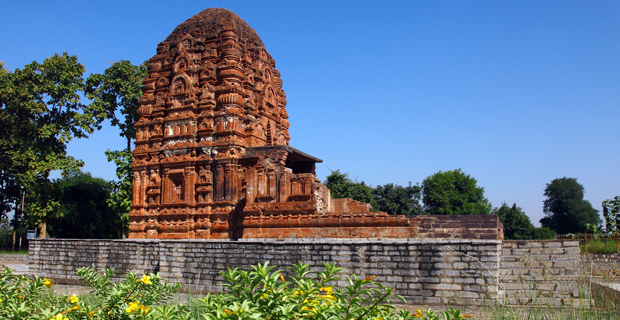 Every Monday, the Tourism board of Chhattisgarh arranges 2 day and 1 night tour package that covers the places Sirpur, Barnavapara sanctuary and Giraudpuri. The cost for the entire Monday tour package would be around Rs. 700 per head; cost includes the expenses of accommodations and foods. Friday Package has Day long tour package of Tala, Malhar, Shivrinarayan and Ratanpur. It will Cost only Rs. 500 per person.As per the scheme, all the trip packages will be accessible from October 15 to January 30 and from May 1 to June 30. Bookings can be done on toll free number of Tourism Board- 18001026415 from 8am to 8pm, or at Tourism Information Centre, Ghasidas Museum, and Civil Lines. Because of this plan no doubt tourist industry will grow in Chhattisgarh. The state’s Chief Minister had implemented a project that offered school students to visit new places. These excursions will provide opportunities to relax as well as learn. Under the CM Jan Tourism Scheme, many students, studying in the Vivekananda School were able to take part in the Chitrakot Festival. This event has been organized by the Bastar administrative department to promote the area as a tourism hotspot. The students were able to see the Chitrakot waterfalls, which is the main attracting for tourists. They also enjoyed water rafting, hot air balloon rides and paragliding. The students were accompanied by their teachers as well. The state government will organize more trips under this project.